The FanDuel online service delivers daily fantasy sports games for real money which conclude on a daily or sometimes weekly basis rather than the traditional season-long period. FanDuel offers all new players a welcome bonus package consisting of 5 free contest entries worth up to $50. FanDuel is the largest DFS site on the Internet and hosts the largest real money tournaments available. 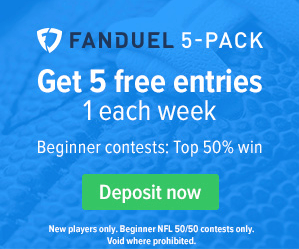 FanDuel offers up 5 free entries to all new depositing customers. The value of the contest entries is based on the amount of your initial deposit. You will be given a free entry every week for 5 weeks from the time you make a deposit. To get started, click here to qualify for this welcome bonus and register your new account at FanDuel. 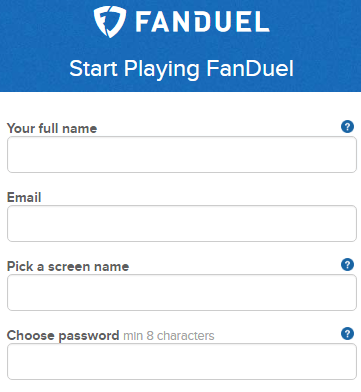 After registering your account, FanDuel will prompt you for the amount of your deposit. If you deposit between $10 and $24.99, you will receive 5 free entries worth $.25 each for a total value of $1.25 (12.5%). If you deposit between $25 and $99.99, you will receive 5 free entries worth $1 each for a total value of $5 (20%). If you deposit between $100 and $199.99, you will receive 5 free entries worth $5 each for a total value of $25 (25%). And if you deposit $200 or more, you will receive 5 free entries worth $10 each for a total value of $50 (40%). As you can see, it’s definitely worth depositing $200 or more based on the percentage bonus you receive. FanDuel is geared toward North American participants, and that is clearly reflected in the limited selection of payment methods that it currently offers. 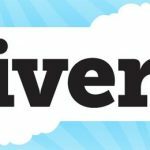 The only Web wallet the service accepts is PayPal, and it accepts any credit card, debit card or prepaid card that is part of the Discover, MasterCard or Visa families, including Maestro and Visa Electron. FanDuel provides members a great deal of freedom when it comes to using bonus money. The only restriction is that bonus money be used for entry into competitions on FanDuel. This is not a hard restriction, but if you receive the bonus and immediately try to withdraw it, FanDuel will retract the bonus money. A good way to look at this is that you must play through all bonus money at least once even though FanDuel can be lax about enforcing it. Note also that FanDuel reserves the right to void any unused bonus money after 45 days. We know of no case where FanDuel has actually exercised this right with an active member in good standing, but you should be aware of that right nonetheless. The FanDuel welcome bonus is not awarded upon deposit. Instead, FanDuel releases it to you at a rate of 4 percent of any entry fee paid. In other words, if you enter a $25 daily football league, FanDuel would give you $1 of your pending bonus. Therefore, you are required to stake $5,000 in order to receive the full maximum bonus of $200. 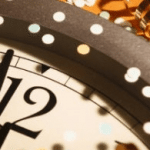 Cashing out is allowed prior to completing the bonus requirements, and you do not have to pay the bonus back on the first withdrawal since receiving it. However, FanDuel reserves the right to void the bonus and take it from you if it feels you are not playing honestly. As mentioned earlier, if you play through all bonus money at least once, you should feel free to make a withdrawal. FanDuel offers a regular reload bonus that is similar to the welcome bonus and can be claimed multiple times. There are also special reload opportunities that are available on a seasonal basis. Keep in mind that FanDuel is a lot like a poker room in that your success does not come at the house’s cost, which is an important factor for members who have big bankrolls and are effective fantasy players. Read our review of FanDuel here. You can also find a review of the FanDuel promo code and no deposit welcome offer at https://redeembonuscode.co.uk/fanduel-promo-code/. You can also find the latest FanDuel promotion codes at https://fantasyfootballers.org/fanduel-promo/.